(About) This last photograph of General Stonewall Jackson dates from late April 1863 and is often called the "Chancellorsville photograph." Jackson was headquartered near what would soon become his last battlefield - Chancellorsville - when a photographer from the Richmond studio of Minnis and Crowell convinced him to pose for a portrait. Jackson was killed less than two weeks later by friendly fire. Picture courtesy VMI. Thomas Jonathan Jackson, aka "Stonewall" Jackson, was born on January 21, 1824, in Clarksburg, Virginia. He entered West Point in July 1842 and, in spite of his poor childhood education, worked hard to graduate seventeenth in his class in 1846. 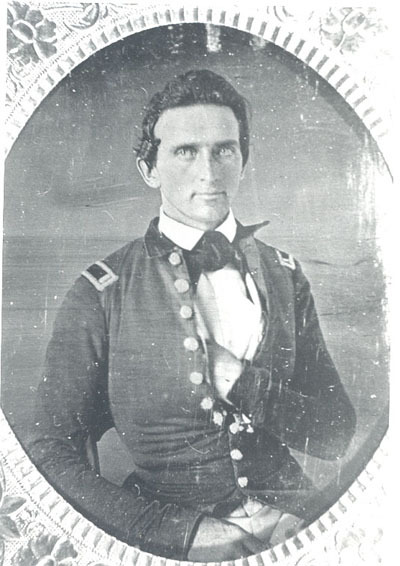 Upon graduation, Jackson was ordered to military duty in Mexico, fought with valor during the Mexican American War, and continued his service in the United States Army with positions in New York and Florida. In 1851, Jackson became professor of artillery tactics and natural philosophy at Virginia Military Institute in Lexington, Virginia. He resigned from the army on February 29, 1852. Jackson's summer vacations from teaching were often spent vacationing in the North and in Europe where his interests were aroused in art and culture rather than military or political aspects. This somewhat calm, domestic period in his life came to a close on April 21, 1861, when he was ordered to Richmond as part of the cadet corps. Since military aspirations had faded from his life, he was virtually unknown in this sphere. (About) Photograph of Stonewall Jackson as a young Lieutenant in the United States Army during the Mexican War in 1847. Jackson, like many men who would rise to fame during the Civil War, had served and fought with distinction in the Mexican War (1846-48). This photo was taken in Mexico City. Courtesy VMI. It was during the First Battle of Bull Run in the Civil War when Jackson assumed his nickname. Amidst the tumult of battle, Brigadier-General Barnard E. Bee stated, "There is Jackson standing like a stone wall!" As the war continued, Jackson continually impressed his Confederate compatriots with his skill on the battlefield and in planning conferences. He distinguished himself in the Valley campaign of early 1862, the First Battle of Manassas in August 1862, and the Battle of Fredericksburg in December 1862. Jackson was a Southern hero, and in spite of his eccentricities, he was loved and respected by his soldiers. He strictly observed the Sabbath, and his religiosity was constant in all facets of his life. On May 2, 1863, in his last march of the Civil War, Jackson was wounded by friendly fire. He died of pneumonia several days later on May 10 at Guiney's Station, Virginia. His body was carried to Richmond and then to Lexington where it was buried. It is said that the Army of Northern Virginia never fully recovered from the loss of Stonewall Jackson's leadership in battle. General Robert E. Lee believed Jackson was irreplaceable. "We went down that old Mountain road some four hundred yards when we came in hearing of the Federals....We stayed there I should judge from two to four minutes when the Gen Jackson Turned his horse around and started back up the road we had come down....When we were about halfway back...he turned his horse head toward the south and facing the front of our own line of Battle he started to leave the old Mountain road and just as his horses front feet had cleared the edge of the road while his hind feet was still on the edge of the bank there was a single shot fired...in an instant it was taken up and...a volley as if from a regiment was fired." Spurred by the belief that the returning Confederates were Union cavalrymen charging their line, Lane's men had fired into the darkness. One bullet lodged in Jackson's right palm and two struck his left arm. As a result of the wounds Jackson would lose his left arm. Jackson died one week later on May 10, 1863. (About) Video of General "Stonewall" Jackson earning his nom de guerre in Civil War Battle of Bull Run. Recommended Reading: Stonewall Jackson: The Man, the Soldier, the Legend (Hardcover: 950 pages). Description: A distinguished Civil War historian unravels the complex character of the Confederacy's greatest general. Drawing on previously untapped manuscript sources, the author refutes such long-standing myths as Stonewall Jackson's obsessive eating of lemons and gives a three-dimensional account of the profound religious faith frequently caricatured as grim Calvinism. Though the author capably covers the battles that made Jackson a legend--Sharpsburg, Fredericksburg, etc.--he emphasizes "the life story of an extraordinary man." The result is a biography that will fascinate even those allergic to military history. Continued below. The New York Times Book Review, Stephen W. Sears . . . [T]wo dozen writers have attempted [Stonewall] biographies, and there are any number of special studies, monographs and essays. 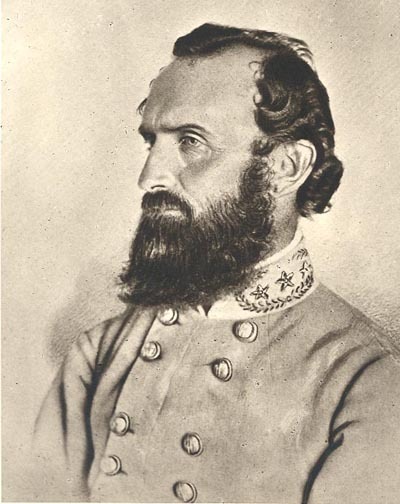 Now going straight to the head of the class of Jackson biographers, and likely to remain there, is James I. Robertson Jr. . . . Stonewall Jackson: The Man, the Soldier, the Legend gives us far and away the sharpest picture we have ever had of this enigmatic figure. Recommended Reading: Stonewall in the Valley: Thomas J. Stonewall Jackson's Shenandoah Valley Campaign, Spring 1862. Description: The Valley Campaign conducted by Maj. Gen. Thomas J. "Stonewall" Jackson has long fascinated those interested in the American Civil War as well as general students of military history, all of whom still question exactly what Jackson did in the Shenandoah in 1862 and how he did it. Since Robert G. Tanner answered many questions in the first edition of Stonewall in the Valley in 1976, he has continued to research the campaign. This edition offers new insights on the most significant moments of Stonewall's Shenandoah triumph. Continued below. About the Author: Robert G. Tanner is a graduate of the Virginia Military Institute. A native of Southern California, he now lives and practices law in Atlanta, Georgia. He has studied and lectured on the Shenandoah Valley Campaign for more than twenty-five years. Recommended Reading: The Stonewall Brigade, by James I. Robertson (Author) (304 pages) (Louisiana State University Press). 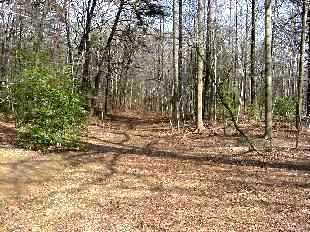 Description: Commanded by Thomas J. Jackson and comprised of the 2nd, 4th, 5th, 27th and 33rd Virginia Infantry Regiments, plus the Rockbridge Artillery Battery, the unit was officially Virginia's First Brigade. This changed forever at the Battle of First Manassas when in the face of a seemingly overwhelming Federal attack, General Bee, an adjacent Confederate brigade commander, reportedly said, "Yonder stands Jackson like a stone wall; let's go to his assistance. Rally behind the Virginians!" Continued below. This book describes the Stonewall Brigade in combat from first mustering to bitter end, when only 210 ragged and footsore soldiers remained of the 6,000 that served through the war. A must read for the Civil War buff. Recommended Reading: Stonewall Jackson's Book of Maxims (Hardcover). Description: Stonewall Jackson's Book of Maxims is inspiring to say the least. Thomas Jackson was raised as an orphan in the mountains of [West] Virginia, had less than a fourth-grade education when he entered West Point and then catapulted himself as an elite strategist/tactician and general of the Civil War. Continued below. Thought to be obsessive, eccentric, and unable to chat at social events....Jackson hid from the world a man that he hoped to be someday. That other Jackson, however, comes screaming just like his famous bloodcurdling rebel yell. "You may be what ever you will resolve to be" is etched over an archway at the Virginia Military Institute where he was also a professor. His works were saved, lost, and thankfully found again... "A truly inspiring work." Recommended Reading: Lee's Lieutenants: A Study in Command (912 pages). Description: Hailed as one of the greatest Civil War books, this exhaustive study is an abridgement of the original three-volume version. It is a history of the Army of Northern Virginia from the first shot fired to the surrender at Appomattox - but what makes this book unique is that it incorporates a series of biographies of more than 150 Confederate officers. The book discusses in depth all the tradeoffs that were being made politically and militarily by the South. Continued below. Recommended Viewing: Still Standing: The Stonewall Jackson Story, starring James I Robertson Jr., Bill Potter, and Ken Carpenter (2007) (DVD). Description: His legacy as a military genius is widely renowned. Now, in Still Standing: The Stonewall Jackson Story, his legacy as a man of resolute Christian character is captured in this revealing documentary. Through stunning High Definition videography and expert narrative, Still Standing traces the life of Stonewall Jackson from his orphaned childhood, to the Sunday School class he taught for African Americans that has resulted in a lasting impact today, to the pivotal role he played as a General in the Civil War. Still Standing inspires, entertains, and educates as it examines the life of a uniquely American hero. Continued below. Recommended Reading: Stonewall Jackson: The Black Man's Friend (Hardcover). Description: Many historians have touched on Thomas "Stonewall" Jackson's relationship with African Americans in light of his Christian faith. Stonewall Jackson: The Black Man's Friend explores an aspect of his life that is both intriguing and enlightening: his conversion to Christianity and how it affected his relationship with Southern blacks. Covering the origin of Jackson's awakening to faith, the book challenges some widely held beliefs, including the assumption that this spiritual journey did not begin until his adulthood. Furthermore, Richard G. Williams Jr. examines a paradox of Jackson's life: his conversion to Christianity was encouraged by Southern slaves. That faith would one day lead Jackson to minister to other slaves through his Sunday school class. Exploring in depth Jackson's now famous "Colored Sabbath School," Williams reveals—for the first time—the influence his efforts had on subsequent generations of African Americans. Continued below. Using original documents, interviews, historical resources, and heretofore unpublished letters and photographs, Williams confirms the veneration with which blacks from Virginia esteemed Jackson, even years after his death—and some to this day. An interview with and photographs of two spiritual descendants of Jackson's black Sunday-school class adds a real-life connection to this fascinating dimension of the famed general's life. The book also examines Jackson's documented youthful pangs of conscience regarding the illiteracy of American slaves—and how Providence ultimately came to use him to have a lasting and positive impact on Southern blacks. Recommended Viewing: Biography - Stonewall Jackson (2005) (A&E) (DVD). Description: He earned his nickname for bravery at Bull Run and led some of the most stunning campaigns of the Civil War. An outstanding leader and brilliant tactician, Stonewall Jackson is widely regarded as one of the greatest Confederate commanders. In an exhaustive investigation, this documentary examines Jackson's military prowess through period accounts, interviews with renowned Civil War historians and military experts, and Jackson's own strategies in his pivotal engagements. Continued below.